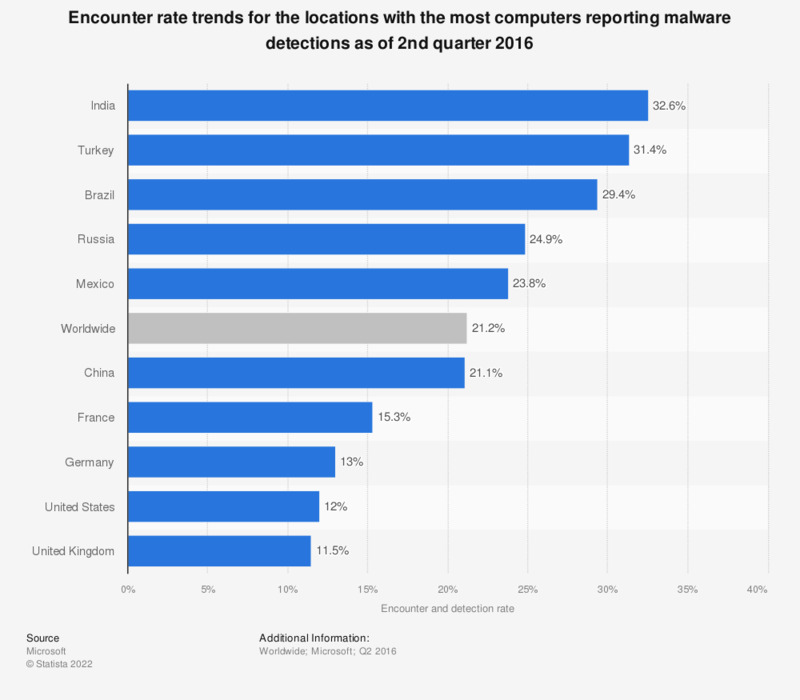 This statistic gives information on the ten countries with the highest malware encounter and detection rates during the second quarter of 2016. During the survey period it was found that 29.4 percent of Microsoft computer executing the MSRT in Brazil detected malware threats to their system. Data is based on number of computers reporting through computers executing the Microsoft Malicious Software Removal Tool (MSRT).